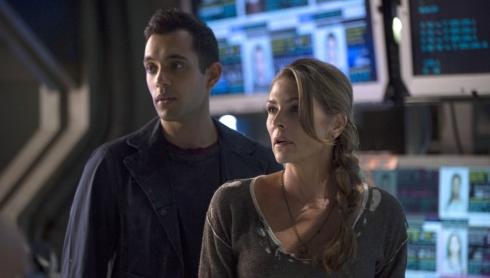 Sachin Sahel is enjoying a breakout performance on CW’s hit show The 100. Sahel plays Jackson and spoke with The Global Dispatch via Dispatch Radio in an exclusive interview about the role, the show and what fans can expect. “It has so much potential…They can do anything. It’s like a whole new world. It has so many allegories to what is going in the world now,” Sahel began while explaining the appeal of the show and his response to the pilot. Set 97 years after the nuclear apocalypse, The 100 follows a group exiled juveniles prisoners returned to earth to determine if the planet is habitable as the future of humanity is esentially in their hands. Sahel can’t praise his co-stars enough: Paige Turco, Isaiah Washington and Henry Ian Cusick. Sachin discusses his childhood difficulties which now drive him to be a vocal advocate against bullying, cyberbullying and more.